After what seems like an eternity (Just a little under 6 years), Young Justice returns for a 3rd season on the DC Universe service. 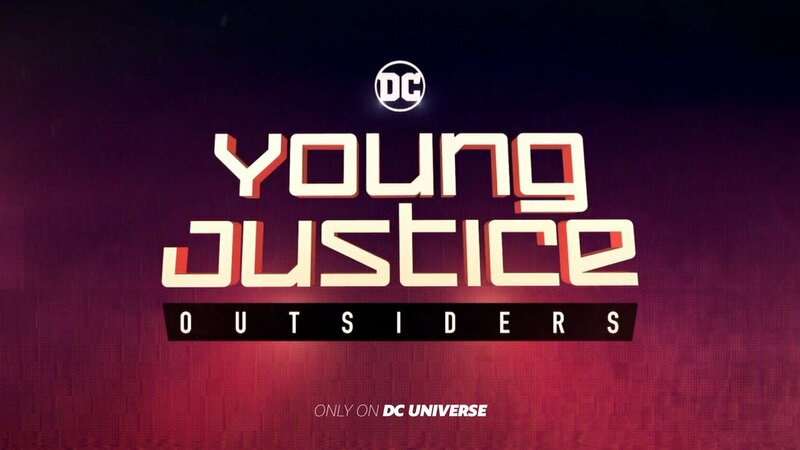 Young Justice Outsiders is the 3rd season of Young Justice, with the first two Young Justice and Invasion currently available to stream on DC Universe. The show focuses on a new generation of heroes initially including Robin, Aqualad, Kid Flash, Superboy, Miss Martian and Artemis. As the show continues many new members are added, some graduate to new roles and others retire outright. They also work alongside the Justice League. Season 3 will consist of 26 episodes broken up into 2 chunks of 13 episodes with 3 new episodes airing every Friday in Jan with the final week having 4. Then go on a short break and return with another 13 episodes in May. Any word of this coming to international audiences for Netflix? Otherwise I have no way to watch this legally. Time to resub to DCU! Hope this makes it to iTunes as well so I can add to my YJ seasons there as well. Can't wait. Wish it was done Netflix style, but this is fine too. Though hey keeps interest in the service going and show in conversation for a few weeks. Only speaking from Australia here, but they added the first two seasons of Young Justice last year (at least I think it was then) so i'd say a ton of international audiences will be getting these episodes through there and that was them gearing up for it. Would be a similar arrangement to Star Trek: Discovery (CBS Access) with international viewers getting access through Netflix. hard pass on both, you guys are crazy! Almost time to subscribe to DCU. Finally, lord, it's been so long. It’s been so long, I absolutely loved Titans but this is the show I signed up for. why? wallys already dead, so there's no use for damian. How is the DC Universe service? I was thinking of giving it a shot. This show has my two favorite characters ever and I somehow never watched it. Well. You're in for something. Catch up on those first 2 seasons. Pretty exciting month for YJ folks (this and a new comic coming out in the main continuity). I do hope there will be a way to buy this season sometime down the road through. Titans is coming to Netflix in just over a week and they've got the CW shows as exclusives in a lot of international territories, so I'd say it's a given. When is DCU coming to consoles? Been watching the amazing Titans show for this on my iPad, but didn’t really want to have to go out and buy an Apple TV to watch it on my television. The best thing to come out of DC since Batman TAS/JLU. Seems like reviews are dropping for the first 3 episodes. As with season 2 seems like plenty of changes are in store for our heroes. I would sub if I was able to. So.. how am I supposed to watch this in UK? Clowning on Tim is always a good use for Damian. I'm surprised no announcement of Netflix, but wonder if it's due to the weird split. Like Titans had to air all of its series before it got to Netflix.. YJ won't finish airing until the summer. I can't wait! I need to see Kaldur continue to be the best character on the show. I love that he got that promotion! Damn that's a shame. Going to assume that's when we'll get it in UK, I'm just glad it's even coming in the first place. I thought these were dropping Netflix style. Time to sub and finish Titans before this Friday. If they nail this season I'll put it above the old DCAU in personal rankings. Hoping to see some New Gods!